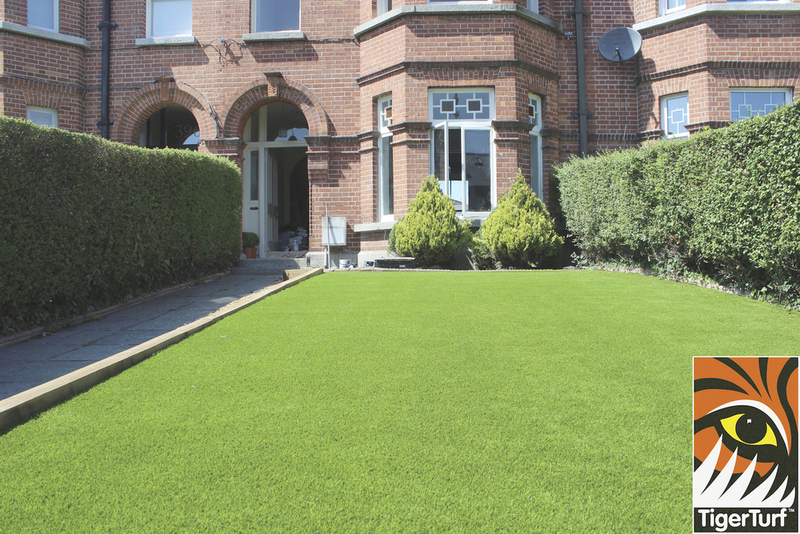 This installation was completed in early Spring a perfect time to install your new TigerTurf lawn. 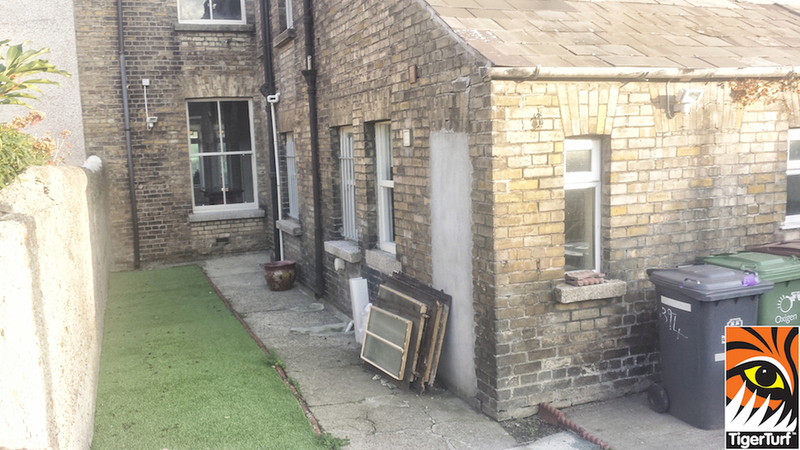 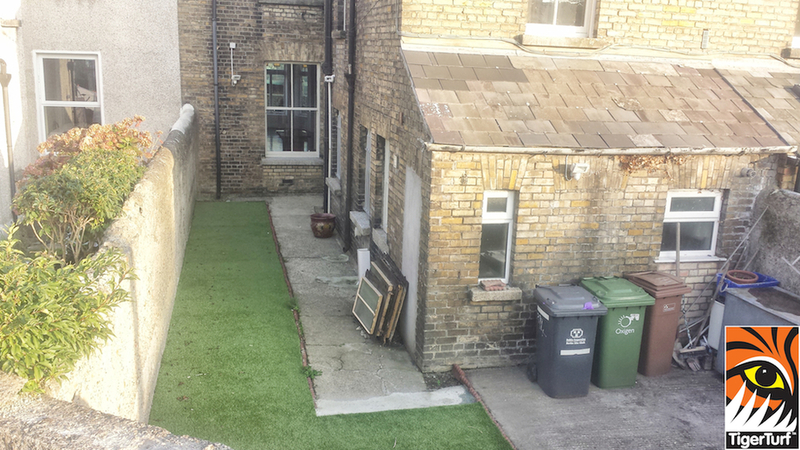 The owner was restoring a historic house's interior and exterior for staging in the property market of Dublin. As this was the initial impression of a prospective client entering the property it needed to give that maximum wow effect. 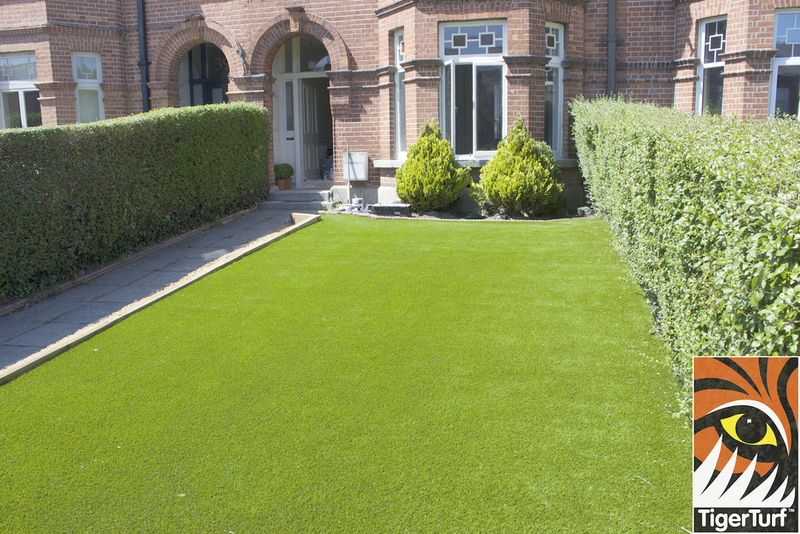 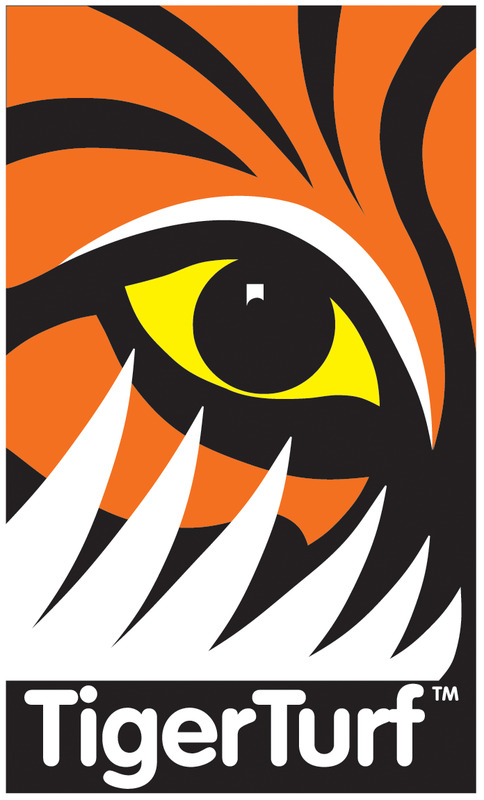 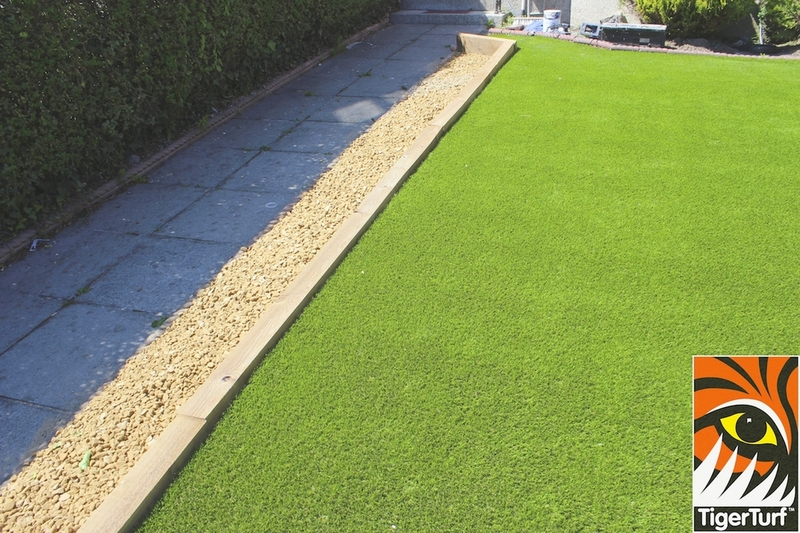 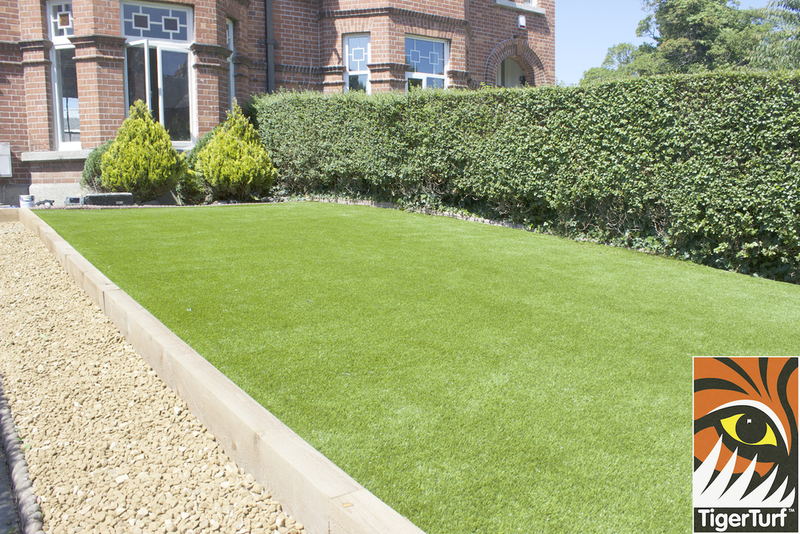 Client correctly chose TigerTurf Finesse Deluxe for an instant luxurious effect. 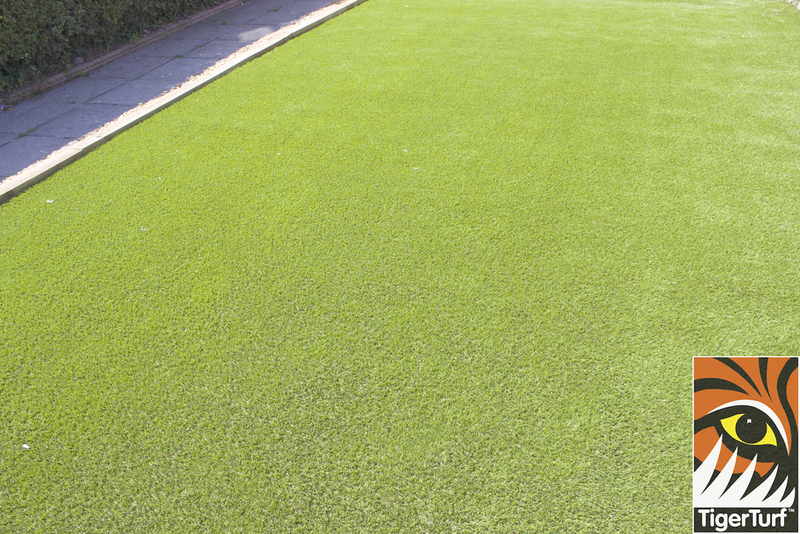 The fresh under thatch and duo tone green blades unique to finesse Deluxe give this lawn a year round turf that feels like it was just cut yesterday. 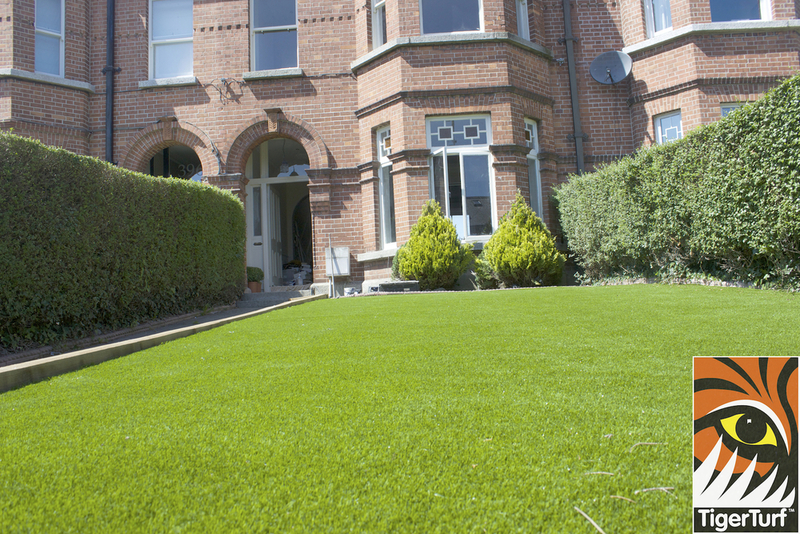 Needless to say client was absolutely delighted with results and at the same time increased the value of their property thanks to Tigerturf . 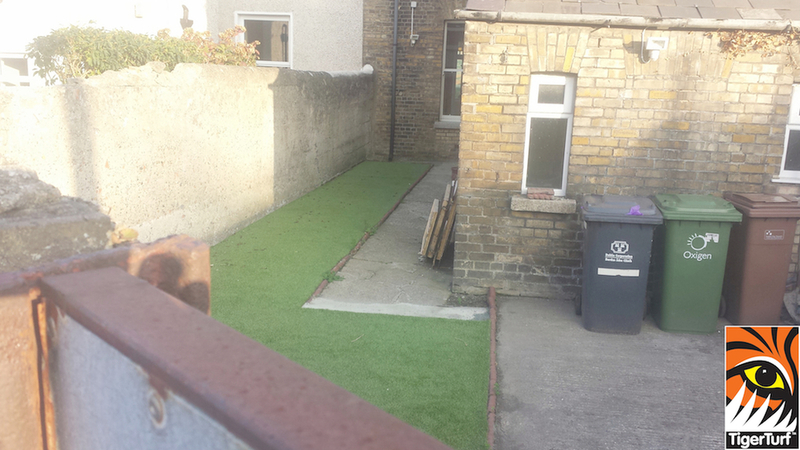 Excellent new lawn was thoroughly appreciated by neighbour's and Family.